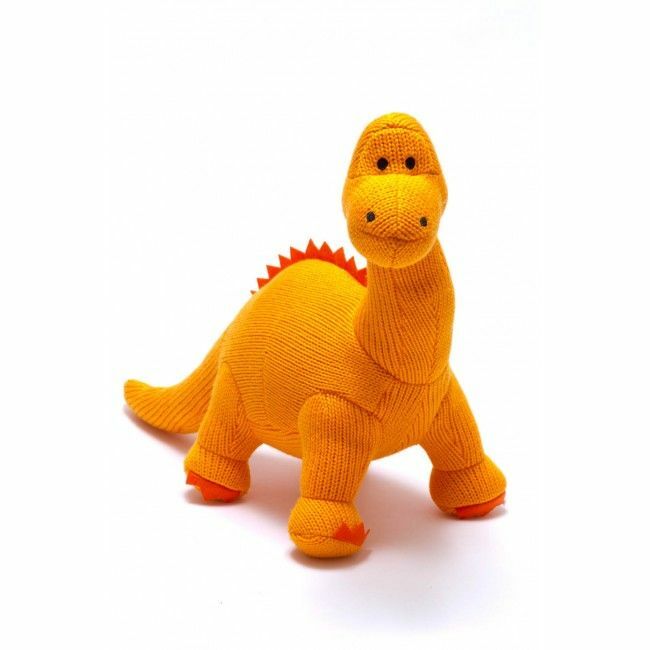 Best Years - Knitted orange diplodocus by Best Years. Perfect toy for dinosaur mad kids. Knitted orange diplodocus by Best Years. Perfect toy for dinosaur mad kids.